This expedition is another attempt to be the first to climb an unnamed & unclimbed peak in the Karakorum – Chafchingol area of Shimshal. The focus of this mountaineering and filming expedition is on 20 year old Pakistani female mountaineer Samina Baig who will be ascending an unnamed, unclimbed peak of approximately 6300m in height. No Pakistani woman except her has ever been to this height before thus breaking the rules of a country where not only sports but many fields of society are thought to be dominated by men. Samina Baig, who in 2010 climbed the unclimbed peak, Chaskin Sar, and became the youngest woman mountaineer of Pakistan, At the age of just 19, this young Shimshali girl was the first Pakistani woman to summit a virgin and also unexplored peak of 6400m. 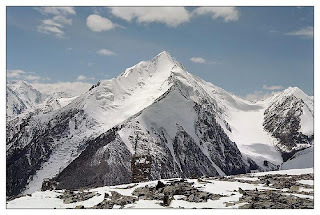 Originally called Chashkin Sar , the peak is now named Samina Peak after her. Other team members will include Mr.Mirza Ali, project leader, team leader, and founding president of PYO, Mr. Christoph Nettekoven, and Mr. Jens Franke. Pakistan and its adventure potential areas, and also to support and encourage youth to explore Pakistan and its amazing mountains. The project will also bring to the world the unique and rich culture of Shimshal, the most remote frontier village of Pakistan. The desire to explore and climb in new places and to climb virgin peaks is ever growing. PYO will focus on climbing a magnificent and wonderful peak that is unnamed and unclimbed in the Karakorum – Chafchingol area of Shimshal. The peak is near the famous Sonia Peak, 6400m. After the climb, the team will go over the famous Chafchingol Pass, 5150m. The documentary of the expedition will be aired on interested TV channels. The expedition seeks to educate youth about mountain sports and to bring awareness and promotion of women’s adventure and to give other women encouragement to conquer the many mountains of Pakistan. The second goal of the expedition is to send a positive image to the world that the country is peace loving and everyone is welcome to explore Pakistan. 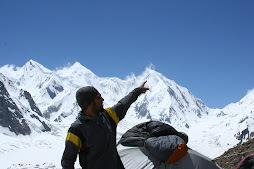 It is also our aim to expose Pakistan adventure potential areas; to show the world that Pakistan is rich culturally, historically, and that its mountains are unmatched in the world in the beautiful and peaceful Karakorum, Hindu Kush and Himalaya. These huge mountain ranges are heaven for trekkers, photographers, culture observers, historians, researchers, film makers, and mountain and nature lovers. The variety of adventure has been experienced by many world class adventure lovers, rekkers, and culture tour makers. It is our hope to also give exposure to Pakistan and its wonderful and beautiful mountains, valleys, glaciers, and to also encourage youth adventure and the top most objective of the promotion of women’s adventure. The expedition will also raise awareness about green peace, wild life, and global warming and its impact on glaciers, mountains, and rural areas as well as on wild life. There will be a strong protest about global warming and green peace and conservation of wild life. This expedition is financed through a combination of Pakistan Youth Outreach donations and personal funds. If anyone would like to sponsor or donate to the expedition as well as our overall program and future projects, we would greatly appreciate the gesture! This new project of Pakistan Youth Outreach is named “A Quest Beyond Limits, Part IV” and the documentary will be of the same title. The expedition is scheduled to take place 16 June - 7 July 2011.